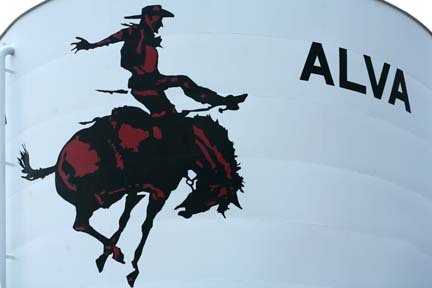 The Ranger is the logo for the sports teams at Northwestern Oklahoma State University, a highly ranked small college in Alva. 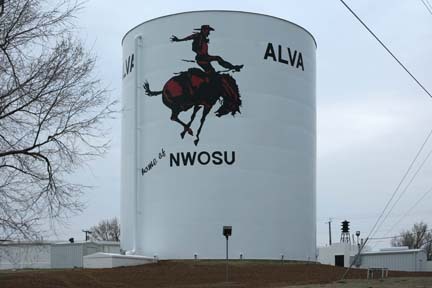 Two copies of the mural are painted on a water tower on the south edge of Alva. One copy is highly visible from the highway, the other highly visible from Ranger Stadium. The mural was painted in 2000.